In the book, Lappé argues that meat production has a negative environmental impact and is a major contributor to global food scarcity. By practicing vegetarianism we can help save the planet and feed the hungry, she claimed. Many answered the call. Several conference participants reported that they became vegetarians after reading her book. Lappé began her keynote talk at the conference by declaring that food is abundant, that the world produces twenty-nine hundred calories per day per person. But people are hungry, she says, because one-half of all grain produced goes to animal feed and three-fourths of all agricultural land is used for livestock production. Lappé decried what she called the Scarcity Mind and the presumption of lack. Instead, she proposes the “Eco Mind,” which recognizes the fact that in biology, everything is related, that there are no parts, only participants. Whereas the Scarcity Mind leads to concentration of power in agriculture, the Eco Mind aligns with the laws of Nature. Interestingly, Lappé did not actually say that people should be vegetarians–which one participant told me is her call to arms at most conferences—but I don’t think I have ever heard a presentation more contradictory, more brimming with mixed messages. Let’s start with her Scarcity-Mind message that we should not eat beef (or bacon). Everyone in the audience would agree that the current feedlot system, which treats the beef cow as a receptacle for cheap, subsidized corn, is an abomination. But it’s really misleading to claim that using three-fourths of agricultural land for livestock production is a bad thing. By some estimates, only 11 percent of the Earth’s surface is tillable, that is, fertile enough for crop production; but a large portion of the rest supports animal production very well. In fact, grazing cattle and other animals on this kind of land will improve the soil and make it more productive if done right—that is, with managed grazing, which in the case of beef cattle, requires no grain, and in the case of dairy cattle, requires only small amounts of grain. And with managed grazing, you can increase the number of cattle the land will support, some say by tenfold. In a recent article Joel Salatin described his conversion of a two-hundred-acre farm from continuous grazing (where the cows mill around aimlessly on a large piece of ground) to managed grazing (where the cows are confined to a small area of pasture but moved every day, in imitation of Nature’s grazing patterns). Land that supported just thirty cows with continuous grazing, will support three hundred cows with managed grazing—and with environmental improvement rather than degradation. If the world farmed like this, then everyone could eat beef! And that would certainly help with the main problem that Lappé mentions—that of malnutrition and stunting. Stunting is common in children who grow up on plant-based diets, mainly due to lack of zinc. And what is the best source of zinc? Why beef, of course! Only animal products can supply those nutrients most missing in Third World diets—vitamins A, D and K2, B12, B6, iron, iodine and calcium, as well as zinc. Lappé blames the increase in diabetes on subsidies for corn and soybeans, and the proliferation of GMO crops, but any diet based on grain, whether subsidized GMO or not, will predispose to diabetes, and of course, this is exactly what Lappé has been urging for the last fifty years. The Eco Mind aligns with the laws of Nature, says Lappé, and what is the first law of Nature? It’s this: Nature never farms without animals. In every part of the world where plants grow, animals are there; and even in places where plants do not grow, such as Antarctica, animals (namely penguins) not only grow but thrive. Throughout the world, animals and plants live in symbiosis; plants support the animals, and animals help the plants, mainly by recycling them into rich manure. If we farmed according to the laws of Nature, we would have animals on 100 percent of agricultural land; on land suitable for grains and produce, we’d alternate crop production with grazing to fertilize the soil; we’d have ducks and geese in our orchards to get rid of pests, and pigs in our woodlands to clear them into silvo-pastures. But Lappé’s biggest contradiction is her premise that we live on a small planet with limited resources while claiming that at the same time that we are producing abundant food; and that because our planet is small and stressed, we need to eat an unsatisfying and limited diet so that others may eat. How confining ourselves to a diet of corn and beans is going to help people in India and Africa have enough to eat is not explained. Of course, we could send the subsidized GMO corn that we otherwise would give to cattle to these areas, but that would only undermine local small farms, something Lappé would not condone. The fact is, we live on a large planet, an immense planet that is fertile, abundant, plentiful, generous and gracious—especially if we farm intelligently in ways that nourish the soil instead of poison it. It is not overpopulated—a claim brought up constantly throughout the conference—but capable of feeding many times more people than it currently does, and feeding them well, if we could just get the corporations out of the way. Even in this age of mono-cropping and industrial farms, small farms still produce about 70 percent of the world’s food—and all but the poorest of these farms support animals like chickens, ducks, pigs, goats, sheep and milk cows. At our booth I spoke with a lovely young lady who asked me about the Weston A. Price Foundation’s position on global warming—since because of global warming, we need to eat a plant-based diet. I told her that the Foundation doesn’t take a position on that subject, but that according to what I have read, the Earth stopped warming in the late 1990s and now is in a cooling trend. I talked about the Medieval Warming Period, several hundred years of weather warmer than what we currently have, when vineyards flourished in Denmark and dairy farms dotted the coast of Greenland. Then the climate turned cold and Europe experienced the Little Ice Age, when the Thames froze over every winter and lots of people starved for lack of food. I pointed out that these changes happened before industrialization, so man’s activities can hardly be blamed—most likely climate change has to do with variations in the sun’s activities. In other words, we don’t have to feel guilty for driving an SUV or eating bacon, but she disagreed. Ninety-seven percent of scientists support global warming, she said, so “everybody knows” that by eating meat instead of a plant-based diet, we are contributing to melting glaciers and rising seas. One of the tracks at the conference focused on food waste—another reason given for eating a plant-based diet. Certainly, the current industrial food system is hugely wasteful. Tristram Stuart, a former UK pig farmer turned crusader spoke about new technologies that can turn food waste into animal feed. He is the founder of Toast Ale, a beer made with fresh surplus bread. One is justified in asking, what kind of bread goes into this beer? Does it contain dozens of additives, GMO grain and soy flour like most bread does? What creates the most waste in our food system is the separation of animals into single-species CAFOs. With pigs concentrated in South Carolina and dairy cows concentrated in Wisconsin, what are you going to do with the whey leftover from cheesemaking and skim milk leftover from the manufacture of butter and cream? These are waste products that don’t nourish people but nourish pigs very well. And if pigs live on your farm, instead of in CAFOs, they can eat your kitchen garbage as well as whey and skim milk from the on-farm production of yummy, nourishing foods like cheese, butter and cream. And if you have a brewery nearby, the pigs can get extra nutrition from spent grains. All these foods—garbage, whey, skim milk and spent grain—are free to the farmer so he doesn’t have to purchase a lot of grain. Using this system, we can all feel good about eating that ultimate product of recycled waste—bacon! The Weston A. Price Foundation advocates supporting small, pasture-based farms by spending half your food dollar in direct sales with farmers. With the other half, you can celebrate how small the world has become. I agree with what Lappe is making us be aware of; I read her book in the 70’s. I also learned that by adding (what I call) whole fresh “live” plants, nuts, seeds to the diet is more nutritious than the “traditional, predominately meat with potatoes or bread and a handful of canned vegetables diet” I grew up on the 50’s. Each of my meals consist of 75% (raw or lightly cooked) vegetables, raw nuts, seeds, and only 25% meat or Dairy. I also support small local farmers 100% where I prefer to buy my meat. My concern today is about the quality and safety of massed-produced, and distributed food as well as the treatment of the animals we eat. Hear, hear! I don’t know how you manage to keep your sanity (and your blood pressure normal) when going to this kind of event, but thank you for being the voice of reason and truth for us. Keep up your great work, Sally. 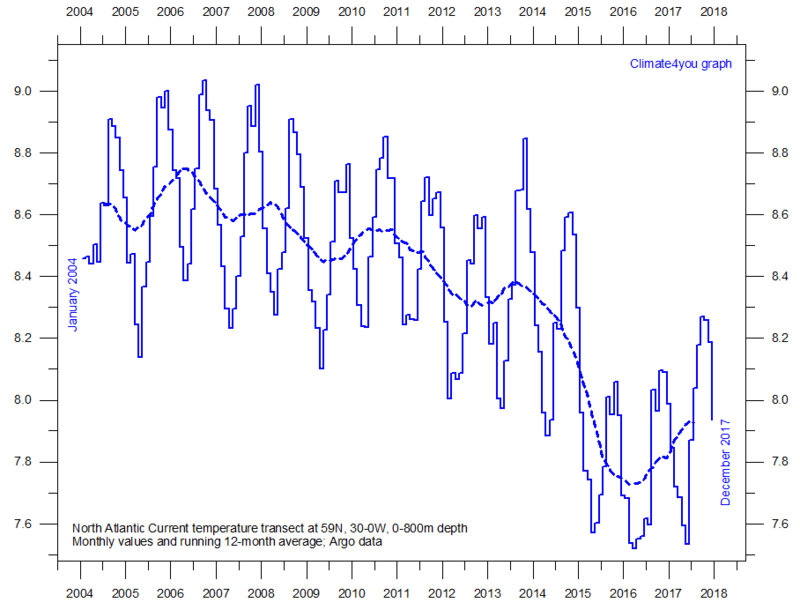 What sources have you read that indicate “the Earth stopped warming in the late 1990s and now is in a cooling trend?” I’d like to learn more about that. Of course, there is a lot of disagreement and controversy, but what is a fact is that there have been periods of warming and cooling for thousands of years. 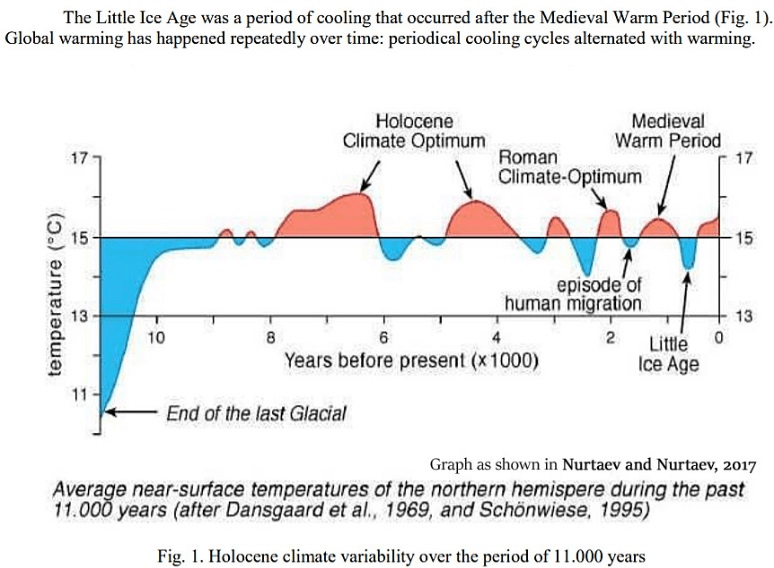 The Medieval Warming period was a worldwide phenomenon that happened before industrialization. Any honest discussion of climate needs to include this fact. If we had to choose, believe me, global warming is much better than global cooling. Global cooling reduces the amount of land available for mankind to live in, and such periods are historically associated with famine and disease. The real thing we need to worry about is the poisoning of most of our farmland with RoundUp and other toxic chemicals–our beneficial insects and bees are disappearing, many agricultural areas have been invaded with herbicide-resistant super weeds, and the land is becoming more and more depleted. This will eventually lead to a breakdown of agriculture. Mother Nature can only take so much. And then we could see widespread hunger and suffering. The only thing that will save us is small pasture-based and organic farms. So please do your best to support this kind of agriculture with your food dollars. Contemplating the integrated symbiotic relationship between plants-animals-people and how wonderfully that is demonstrated on so many small farms feels really good in my body! Trying to wrap my mind around the fragmenting, dis-empowering and illogical notions of feeding the world a grain-based diet makes me want to laugh! First of all, I think it is important not to make a religion of any issue. If two well-meaning people cannot disagree on an issue, then it has been made into a religion, and people who question the dogma are labeled heretics. The propaganda asserting that man is causing global warming is relentless, and that mankind has “brought the planet to the brink,” is being used to make life more difficult for average people, who are being told that they should not drive cars, eat meat or taking a daily shower. It reminds me so much of the relentless propaganda against animal fats, which has resulted in much suffering and disease for the average person. I am sorry, but I will not be made to feel guilty for being comfortable, well nourished and clean. There is one inconvenient fact that demolishes the premise that the activities of man are causing global warming: the Medieval Warming Period. This was a period that lasted about 300 years, and was definitely not caused by man’s industrial activities or the use of fossil fuels. The truth is that the world has always gone through cycles of warming and cooling that have everything to do with the activity of the sun, and nothing to do with our lifestyle on earth. And in fact, the earth is not warming at the moment, but cooling, as announced by NASA a couple of decades ago. Is this cooling also caused by mankind’s activities?? As for trees, the tree cover of the earth today is much larger than the tree cover in 1900. Virtually the entire East Coast and much of Europe were denuded to provide hay for horses, and wood to keep warm. Now these forests have largely grown back, thanks to the automobile and fossil fuel. There are a lot of things wrong with this world, including the poisoning of our soil with herbicides and the poisoning of our children with vaccination. These are the kind of things we need to work to prevent. All this attention to global warming is a distraction to the work we need to do. The population of the U.S. is shrinking, either through fewer babies being born, or more babies being permantly injured through malnutrition or vaccines. We have built up a civilization that requires a lot of people, smart people, to perpetuate. What concerns me is the looming lack of people to carry on what we have built–to repair our roads, keep the powerplants running, keep the internet working, fly our airplanes, repair our plumbing, etc. etc. Truly we are about to see the consequences of a population that is shrinking (not increasing). Sally, the existence of the Medieval Warming Period is not news to climate scientists or anyone who is halfway educated on the topic. That’s not a refutation of anthropogenic climate change. You do discredit yourself by jumping in with the climate change deniers. Talk about a religion… it’s ideology that prevents people from accepting the science on this. When you call people “deniers” science goes out the window. There are a lot of very smart people – environmentalists, climate scientists and others that have taken a long hard look at the science and have conclude that the climate change narrative is a fraud. Thank you Sally for speaking the truth about climate change! 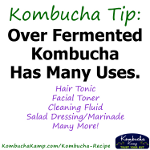 I was a believer until I thoroughly researched the science behind it. I hope more people will wake up to the truth so we can focus on real problems, as you have discussed. Thanks for your work, Sally. It is wonderful you attended this conference, We all need to listen to the “other side” to really understand the ideas behind their message. The idea that factory farming is cruel and inhumane is something we can all agree on. Most of the problems in our food system come when we try to manipulate, instead of work along side, what God (or Mother Nature) has already designed as a beautifully balanced, and healthy system. I applaud you for your stewardship of your land and animals. Certainly, if everyone farmed the way you do at PA BowenFarmstead, there would be much less ammunition for the vegan movement. I have experienced the healing power of healthy animal foods; bone broths, organ meats, eggs, lard and butter to name a few. Thank you for providing your neighbors with food we can feel good about, as well as feel good because of! I appreciate this article and I appreciate the work that Sally and WAPF do. This work has changed my life. I have a thought on the subject of climate change. Climate change can be cyclical, but also at the same time influenced by human activity. Regardless of how one wants to characterize it, ice caps are melting and sea levels are rising. And regardless of the cause, we are in the same amount of trouble if coastal cities sink and our current farmland dries out. Beyond that, the second chart shows that as of 2017, temperature was not only trending up, but doing so with a positive second derivative. That seems to directly contradict the idea about “global cooling”. What am I missing? We moved from Boston to rural South India and we would appreciate it if Sally or someone else enlightens us on what is traditional food here – we see everyone eating a mountain of white rice and every breakfast item is made of white rice. Vegetables and legumes are consumed in very small quantities despite being abundantly and cheaply available. Indians did not eat meat or eggs for religious reasons. Milk and ghee were the only animal protein they consumed traditionally. So what is their traditional diet that we can follow? Thanks a lot. The traditional diet in southern India is very interesting. The grain staple was a combination of lentils and brown rice, soaked/fermented, then ground and made into pancakes or little muffins. This was eaten with ghee and/or raw fermented milk, and accompaniments like cucumbers. Since the grains were not fumigated, they were full of insect parts and insect poop, which supplied vitamin B12. The dairy products supplied calcium and fat-soluble vitamins and the soaked/fermented grains were very nutritious. In some areas they consumed coconut oil and sea food. Neverthless, the people of southern India were much shorter and less healthy than the inhabitants of northern India, who ate meat, including organ meats. The inhabitants of the north were taller and more robust. Unfortunately, the diet of India today has degenerated into mostly white rice, some seasonings, and a ghee substitute made with vegetable oil. The people are really suffering from these modern foods. Dear Sally. Thank you for being a great inspiration and activist for better nutrition and farming. I have read your book and am following the wise traditions podcast and I truly appreciate your efforts to enlighten and educate people. Therefore I am shocked to read that you seem to be denying the human influence on the earth’s climate. I am a born sceptic and don’t take any “truth” for granted, yet I do believe that it is beyond doubt that industrialization is directly responsible for the rapid increase in greenhouse gasses in the atmosphere over the last 150 years, an increase that is perturbing the earth climate system and generally causing an increase in temperatures (although the perturbation also does result in periodically colder weather). Whether the changing climate is our civilization’s greatest concern or not is a whole other discussion and I tend to agree with you that the poisoning of our soil and water with pesticides and excessive nutrients may be a more severe threat. I certainly do agree that the political focus on climate change is moving attention away from other important environmental issues such as the devastating way that we practice agriculture nowadays. Please do consider revising your views on the topic of climate change, because I am afraid that the position you take in this article is gravely undermining your credibility. Have you heard of Allan Savory or the Savory Institute? It is my understanding now that by “man-made” we should look primarily at our farming/grazing practices instead of automobiles and the like. It’s definitely a different take on the subject! I enjoyed the article, I am in agreement with most of it… Except for the climate change skepticism. Sally, I would like to know more on your views about how we are not really affecting the climate? I enjoyed the article and agree with most of what you’re saying except for climate change (not totally convinced about the cooling trend and humans not impacting the climate) and population. You really thing our planet isn’t over-populated? Human population is growing exponentially. Also, I think it’s important that the images you use as sources to support your argument should be cited at the end with source links. I agree with 99% of what the Westin Price Foundation says. But denying global warming is, for me, a deal-breaker. I will always follow the teachings of Westin Price, but I will not renew my membership this year. First, I need to stress that the views on my blog are not necessarily those of the Weston A. Price Foundation (WAPF). WAPF does not take any stance on global warming/climate change. We need to be careful in this discussion not to make a religion of any of these issues. Of course everyone is welcome to their opinion, but it the case of global warming/climate change it is important to realize that there is a large body of opinion that believes the earth is actually cooling, including NASA. Believe me, global cooling is way worse than global warming. In periods of global cooling (such as the Little Ice Age) there was widespread starvation and suffering in Europe. If we really did have significant global warming, huge amounts of fertile land would be opened up for mankind’s use. But my biggest concern is the fact that the premise of global warming is being used to argue that cows are causing global warming and convince lots of young people to become vegetarians. This was really brought home to me when I met a lovely college student at the Long Island Food Forum. She looked anemic and very unhappy. She had been practicing veganism for some time, “specifically to help save the planet from global warming.” So many young people are going to suffer from ill health, and probably infertility, because they believed this specious argument. Why do you not recommend more than a pint a day of raw milk for children? Why not advocate a diet exclusively of raw milk for children and adults? You make a strong case that raw milk is a perfect food, so why do we need anything else? The Maasai tribe in Africa’s traditional diet consisted almost entirely of cow’s (raw) blood and milk, and meat on special occasions. The blood was harvested without killing the cow, much like the milk. These were also happy and healthy native people, even though Weston Price didn’t visit them. I’m all for eating the meat and organs of dairy animals or males that die for some natural reason with the main food being raw milk and its various cultured forms – this would mean about 3/4 gallon to 2 gallons for adults depending on size and activity level. Wouldn’t this be the most humane and efficient way to feed the majority of the world? Previous Previous post: Flavored Milks: How Low Can You Go?